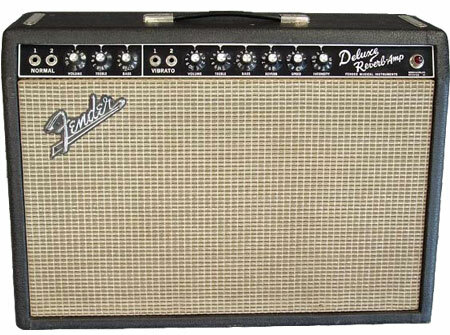 Greetings, I have an opportunity to purchase or I should say trade a keyboard for a 1967 Fender Deluxe amp however my dilemma here is,or I should say my question is… that all of the other Fender Deluxe amps im seeing, all have reverb, the one that I’m buying is just vibrato only? 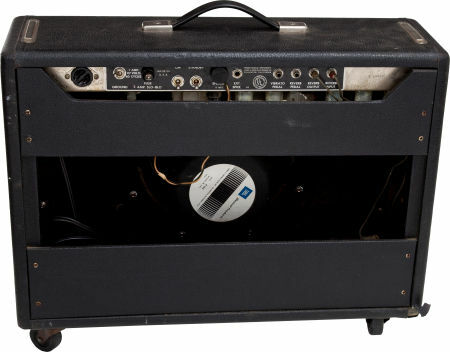 with three knobs on the one channel and 5 knobs on the other channel I can not find any information on this amp… can somebody help me are these rare or what? The amp you are referring to is the “Deluxe Amp” and it is listed here on Ampwares. It is the same amp without reverb, so ne less gain stage om the vibrato side. If you want reverb you will need to run it outboard using a pedal or reverb unit. I have both a DR and Deluxe, love em both. Do you have bias instructions for a 65 BF Deluxe Reverb? Just re-capped the amp and want to make sure the bias is set correctly. The AB763 pdf shows the incorrect Layout diagram. This mistake is also found on several other downloads on the net. The Schematic is correct, but the layout is actually the AA763 with the letters changed. Would be nice if the Layout actually matched the Schematic. Here is a correct one in case you want to correct it.